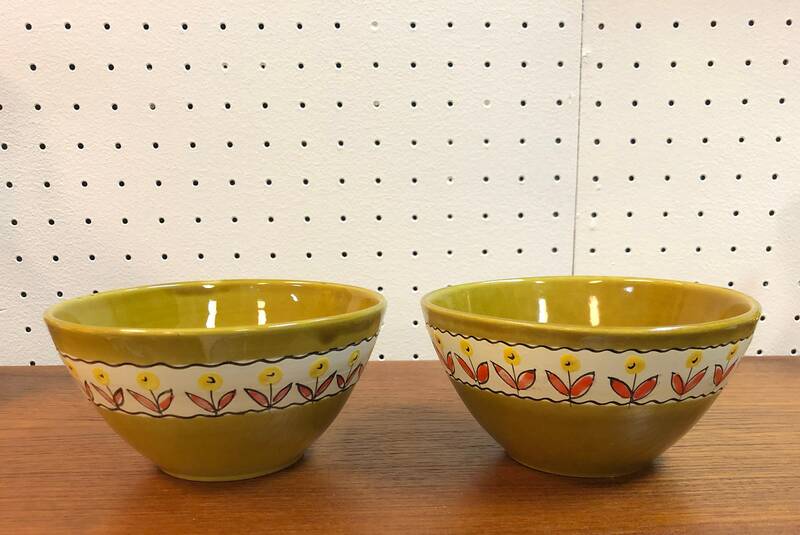 Cute pair of mid century Italian ceramic bowls in moss green with banded flower motif. 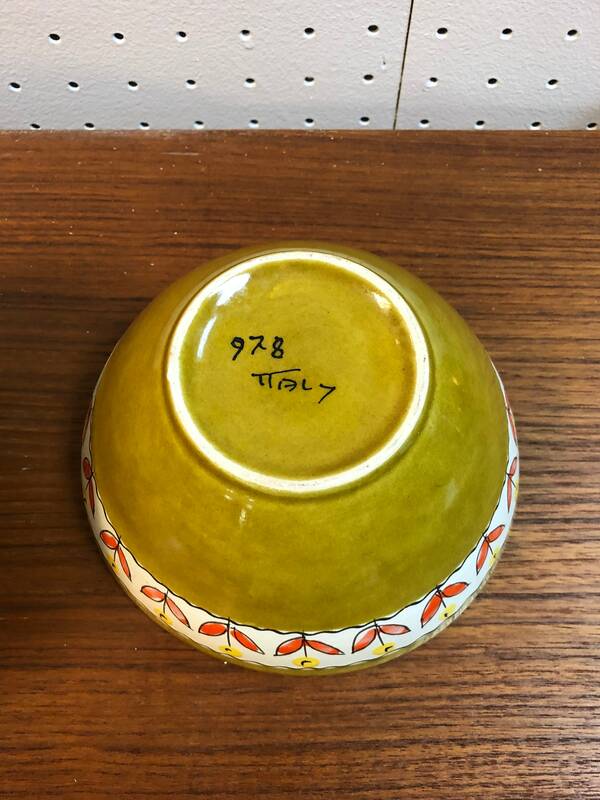 Each bowl measures 5 3/4”w x 3”h. Local pick-up available or purchase directly at the Antique Gallery Round Rock.